Dream Baths is a full-process, professional design & build remodeling company. 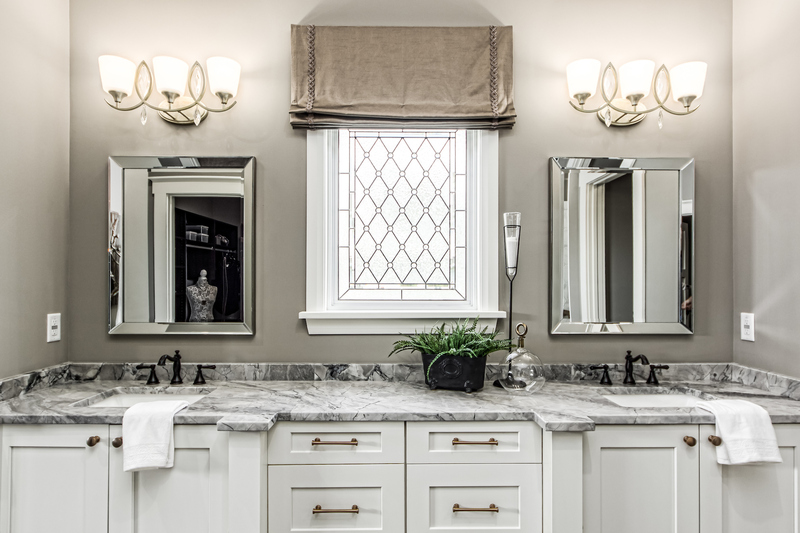 Our incredibly talented in-house bath designers, skilled architectural staff, and NKBA-certified tradespeople excel at every aspect required during a full bath design, remodel, and construction, handling every phase along the way. 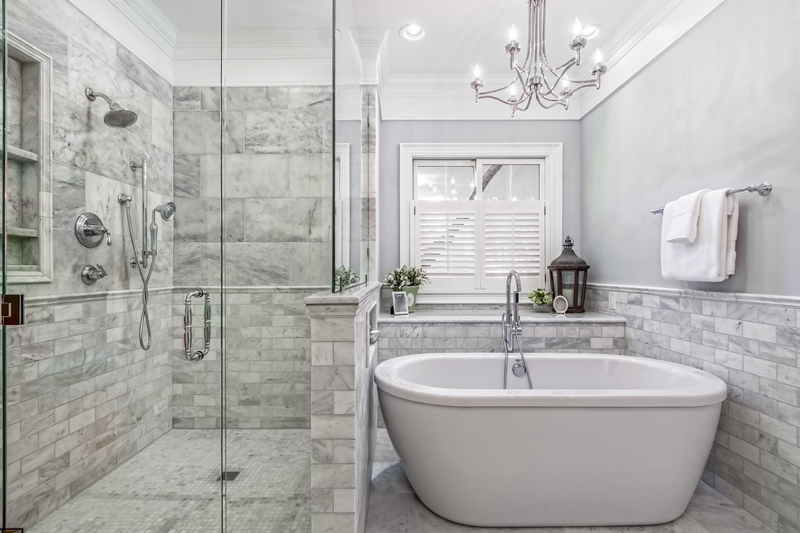 What Does Full-Process Bath Remodeling Mean? A “one-stop-shop” for full bath transformations, Dream Baths handles the entire process 100% in-house. After all, remodeling and renovations should be cohesive, seamless, and stress-free from start to finish, so there is nothing lost between you, the designers and the construction. Having all the design/build services under one roof ensures that your new luxury bath accommodates your every wish and aesthetic. We are your management team and full production crew. We run the entire project from the beginning of the initial consultation until the last fixture is installed and polished. 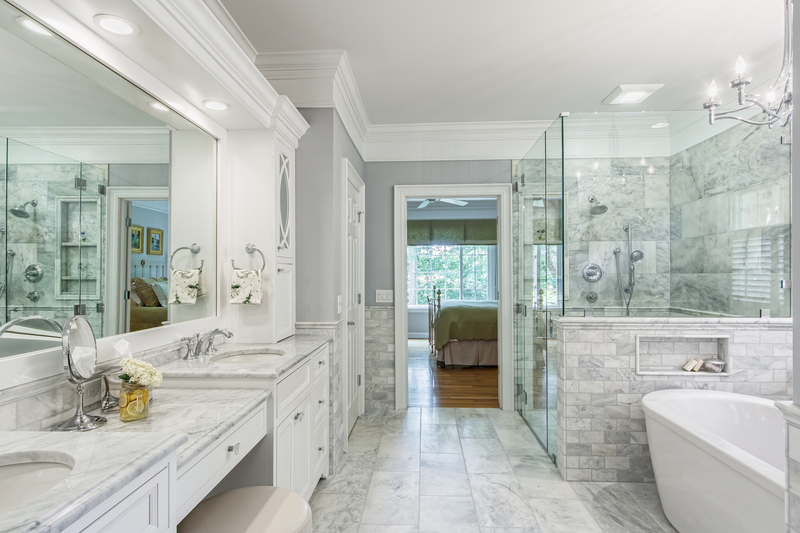 Each bath remodeling project starts with a complimentary consultation. Your own dedicated Dream Baths bathroom designer meets with you to discuss the design process, answer any questions you may have, understand your needs, vision, and preliminary budget. Whether you scheduled online or visited our showroom, a design consultant visits your home to evaluate the space, discuss design options, and take photographs and measurements of your home’s bath. These are then turned over to our design drafting department. 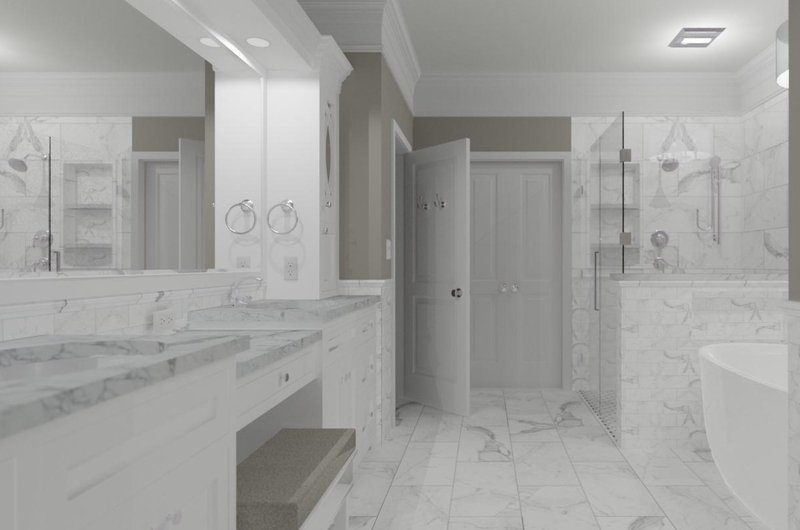 Our custom design service helps you visualize what your new luxury bath can look like. Explore the possibilities of your new bath with floor plans and our 3d virtual designs. These 360° walkthroughs allow you to fully immerse yourself in the design before you commit to the build! All revisions are made prior to establishing your construction contract. Our fully in-house construction team handles the entire process of converting your home’s bath into the completely new, custom spa-like retreat you’ve always dreamed of! Start and end your day in luxury, completely rejuvenated in the morning, basking in indulgent relaxation at night. Are you ready for a seamless, luxurious full-bath transformation? Contact Dream Baths for a complimentary consultation.